The Carroll Group recently was named Douglas Elliman Real Estate’s top team of 2017 during the brokerage’s annual award ceremony. 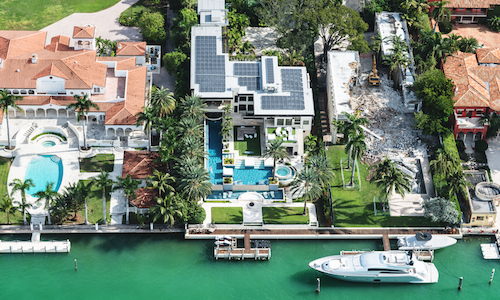 According to the Real Deal, some of The Carroll Group’s 2017 highlights include the $12.4 million sale of a waterfront Coconut Grove house and a $21 million trade of a Manalapan mansion. Both deals were listed by the group’s founder, Chad Carroll. The Carroll Group specializes in luxury waterfront homes and investment properties in South Florida — including Miami, Fort Lauderdale and Palm Beach — and New York. Throughout his professional career, Carroll has closed over $1 billion in sales since 2011 and was named the company’s top broker in Miami from 2012 to 2016. Carroll says he built his reputation through consistent and committed personalized client service.